Gianni Soldati, born in 1958 in Lugano, made his studies in Lugano, where he obtained his “Teaching Diploma”. In 1981 he started his biological curriculum in Geneva, Faculty of Sciences, obtaining his Diploma in Biology in 1985 at the Centre Médical Universitaire (CMU). He then reached Locarno for his Ph.D studies, at the “Centro di Endocrinologia per la Riproduzione” headed by Dr. M. Balerna and Dr. A. Campana. In 1991 he got his Ph.D in pharmacology at the University of Basel. In 1991 he left for a post-doctoral period in Basel at both the “Friedrich Miescher Institut” and the “Zentrum für Lehre und Forschung”, followed by a 6 months period in London at the Institute of Child Health. After this period he returned to Locarno to work at the “Servizio Oncologico Cantonale” with Prof. F. Cavalli for five years on the molecular diagnosis of tumours. In 1996 he founded the Molecular Diagnostic Laboratory that is now operative since then. In 2004 the LDM was transferred to the Cardiocentro Ticino in Lugano and performed the first swiss stem cell transplant in a patient with acute myocardial infarct in August 2004. In 2005 he founded the Swiss Stem Cells Bank in Lugano, Cardiocentro Ticino. 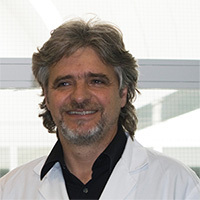 He has become since then Director of the Cell Therapy Unit of the Cardiocentro Ticino with the aim of studying and developing new cell therapies for the man. In 2009 he become President of the Swiss Stem Cell Foundation in Lugano, a foundation dedicated to applied research for human cell therapies. Luca Mariotta, born in Locarno in 1981, obtained a high school diploma in literature. In 2000 he started his study in biochemistry at the ETH Zurich and then switched to general biology at the University of Zurich where he obtained a Bachelor of Science. From 2005 and 2007 he worked on the regulation of transcription factors under the supervision of Prof. Markus Noll and achieved a Master of Science in molecular and cellular biology. From 2007 and 2008 he remained at the Institute of Molecular Biology as a research assistant in the lab of Prof. Konrad Basler. There he aimed to identify novel molecular component of the wnt-signaling pathway. In 2008 he joined the Ph.D program Integrative Molecular Medicine (ImMed) at the Institute of Physiology of the University of Zurich. Under the supervision of Prof. François Verrey, he worked on the in vivo characterization of amino acid transporters. During that period he had the opportunity to present his work in several international contests like Kyoto, Washington and Copenhagen. In 2012 he then obtained his Ph.D in life science. 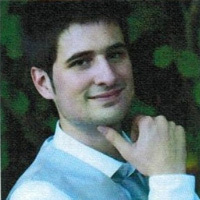 In 2013 he joined the Swiss Stem Cell Foundation as a Postdoc where he supervises the research projects. Greta Minonzio, born in Milan in 1983, after classical High School graduation she obtained a Bachelor of Science Degree at the University of Insubria -Varese. In 2006 she continued her studies in cellular- molecular biology and cytogenetics field in the same University and in 2008 she obtained the Master of Science Degree with an experimental thesis entitled: “The perspective of medical cytogenetics with the use of the Comparative Genomic Hybridization (CGH) on Microarray” in Medical Genetics Laboratory under the direction of Prof. Francesco Pasquali, MD. Thereafter she moved to Lugano where she started her working experience in the laboratories of the Swiss Stem Cells Bank as scientific collaborator. In that period she acquired expertise in the human stem cells field and she worked on different projects mainly focused on the isolation of stem cells from adipose tissue obtained by liposuction. Furthermore she worked at their differentiation into osteocytes through the use of biocompatible scaffolds. Moreover, she acquired expertise in microbiological and genetics analysis by working in the Laboratory of Molecular Diagnostics. 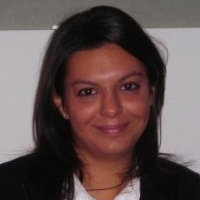 In 2010 she joined the Swiss Stem Cell Foundation where she started a doctoral work in a project with the aim of obtaining cardiomyocytes from mesenchymal stem cells and in 2013 she obtained her PhD with the thesis: “Cardiomyogenic differentiation of human multipotent stromal cells: a new approach for regenerative medicine in cardiovascular disease” – Supervisor: Dr. Gianni Soldati PhD. In 2014 Greta Minonzio is sent to the USA for a post-doc at the Diabetes Research Institute – University of Miami Miller School of Medicine, FL directed by Prof. Camillo Ricordi, MD, to acquire knowledge in the development of new stem cell therapies to treat diabetes.